Advantech's key strategies for the next decade are to develop sector-focused applications, solution ready platforms (SRPs), and sharing platform business models, with relevant software being a vital component of these developments. 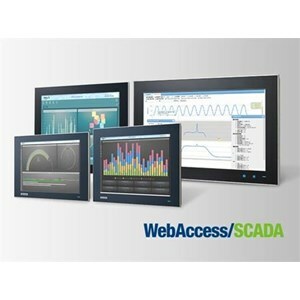 Advantech has developed a series of PaaS software packages, such as the WebAccess software application platform, which includes SCADA, HMI, CNC, MCM, VCM, NMS, and IMM solutions. Advantech is also inviting numerous third-party software providers to join its WebAccess sharing platform to develop a wide range of solutions to enrich the software offerings and satisfy customer needs.